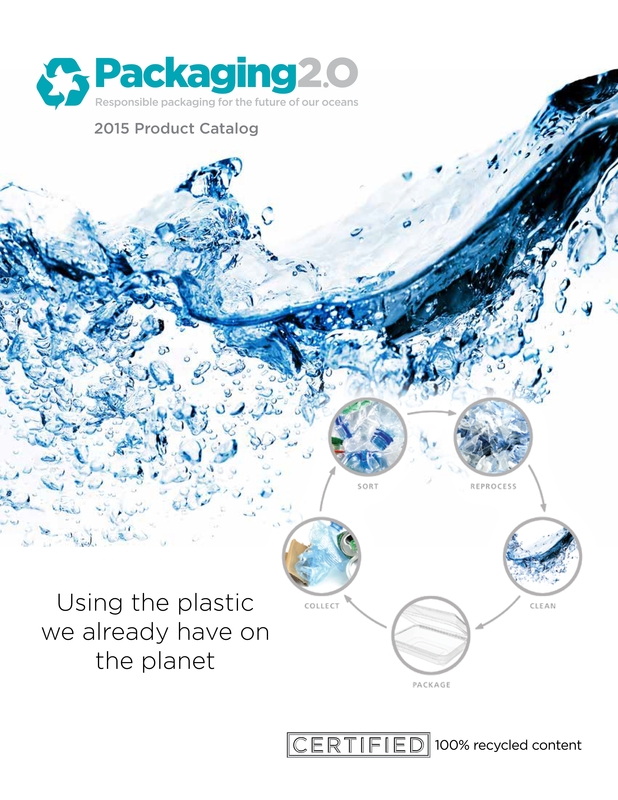 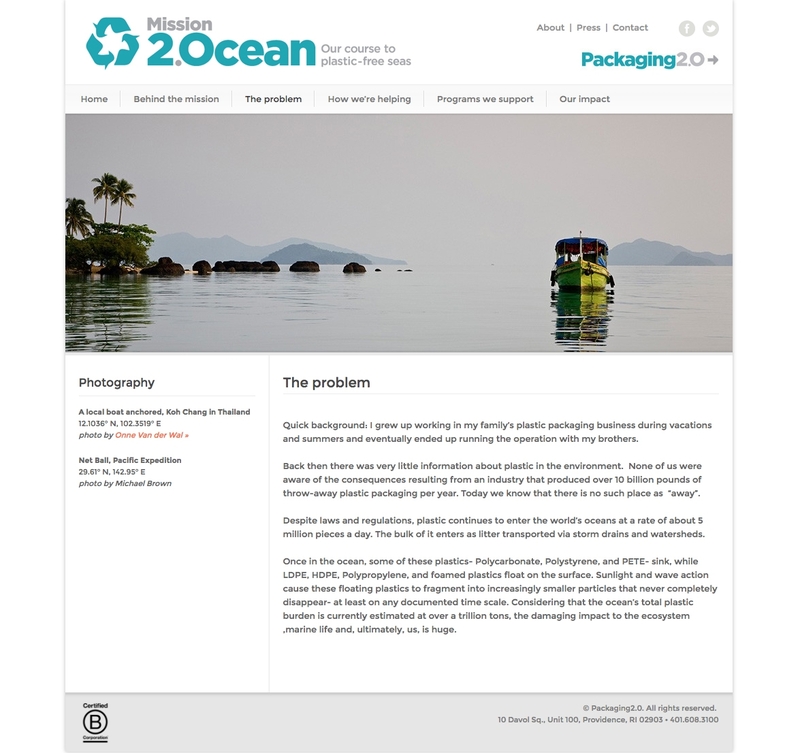 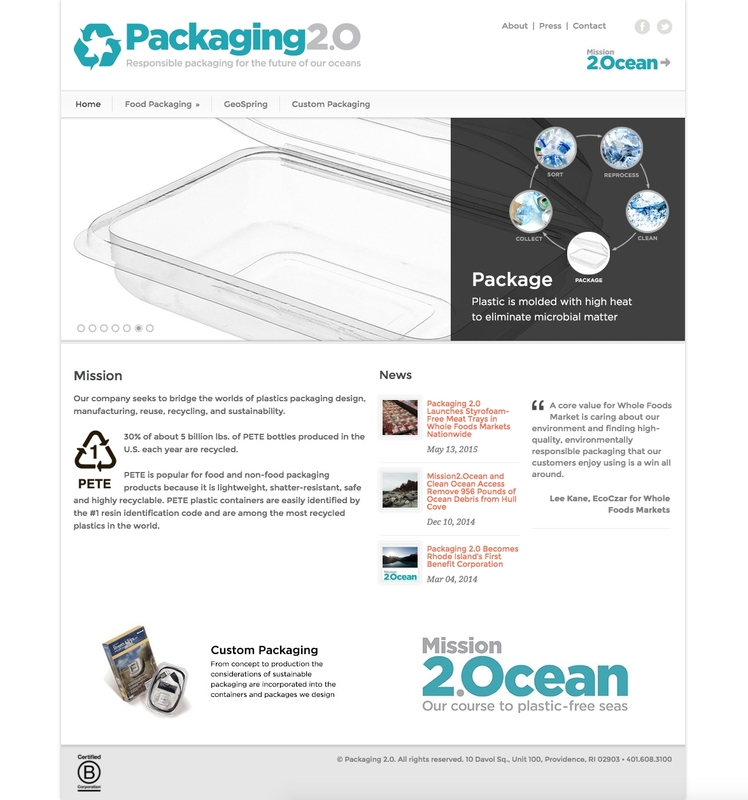 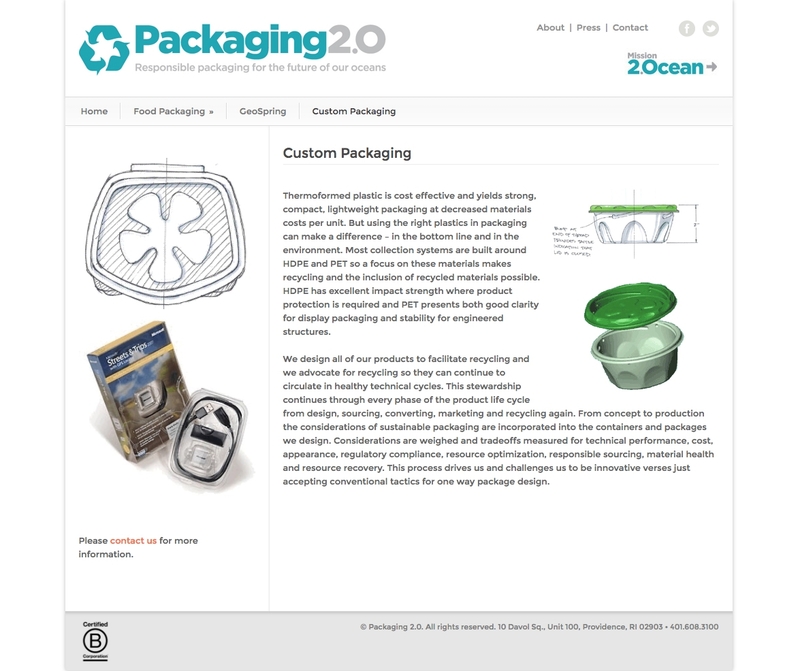 Packaging 2.0 Inc. was founded in 2002 and primarily sells and markets thermoformed plastic packaging made from post-consumer recycled materials. 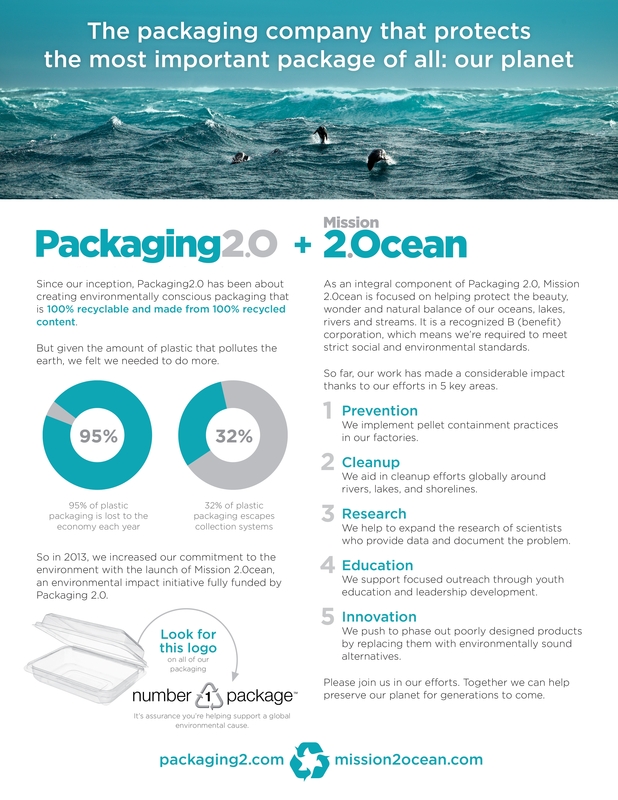 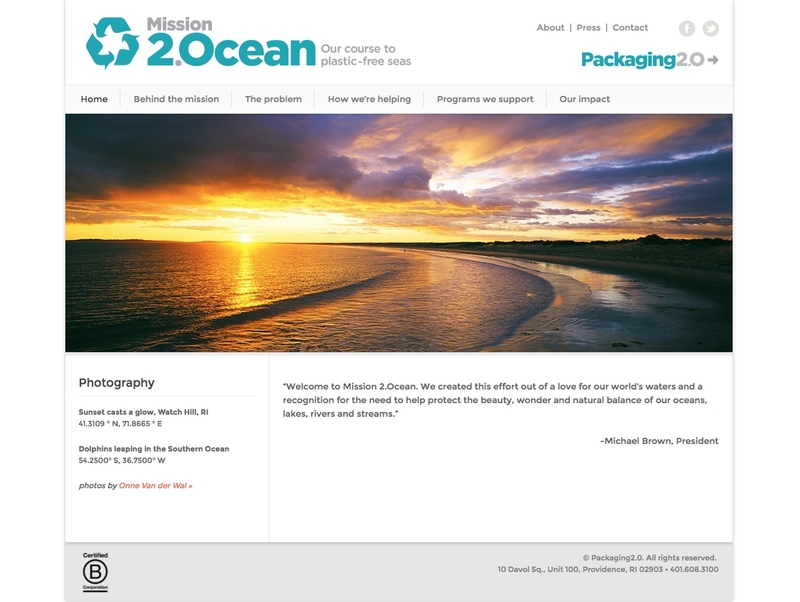 Through their advocacy arm, Mission 2.Ocean, the company is able to raise awareness about plastic packaging pollution and fund programs to reduce plastic pollution in the world’s waters and shores. 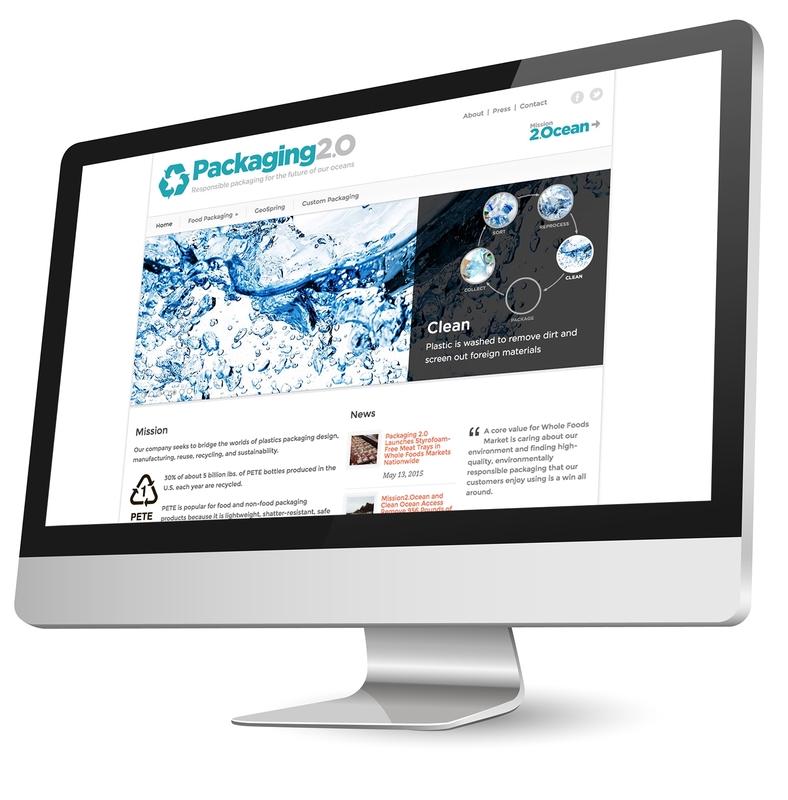 Stark Group worked collaboratively to establish a brand strategy, numerous printed materials and an e-Commerce website.